Why To Get Dental Implants? 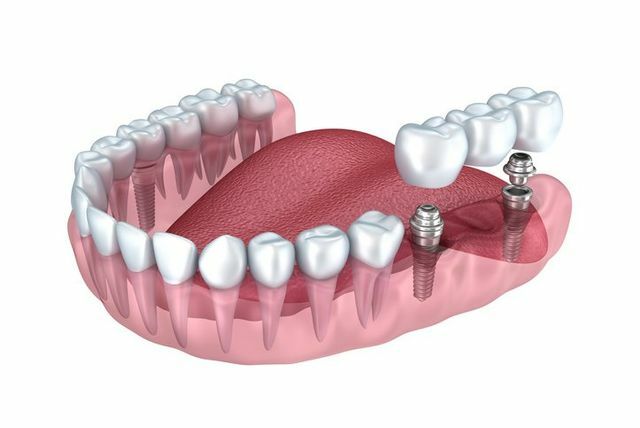 Dental implants are a reliable form of dentistry used to fix the gaps that are caused by the missing tooth or teeth. Dental implants are titanium posts that are placed into the jawbone to provide the permanent base for fixed, replacement tooth/teeth. How to find the best cosmetic dentist for filling the gaps between the teeth? There are many options available on the internet, all you need is to type the query dentist near me. A simple query will give you a list of nearby dental clinics. It is very important to read the customer reviews before making your choice. Endosteal implants: Endosteal implants are drilled directly into the jawbone through surgery. After the healing of the surrounding tissues, the final step is to attach the artificial teeth/tooth. Subperiosteal implants: Subperiosteal implants are inserted in the jawbone below the gum tissues that are made up of a metal frame. Note: There is a difference between the dental implant and mini dental implants. The difference is that mini dental implants are half the size of the traditional ones. What are the various benefits of dental implants over general dentistry? Feel more natural and allows one to eat and chew food easily. Gives greater comfort than dentures as there is no need to remove them. Dental implants result in better oral health. Boosts your self-confidence and self-esteem. Dental implants are durable and a permanent solution for teeth/tooth loss. Dental implants can stop bone loss in the jaw. How long time it takes for dental implant procedure? Dental implant procedure takes 1 to 2 hours. The healing process takes 3 to 6 months with proper oral care. It can take from months to years depending on how you take care of them. Here’s the additional reading on how dental implants are effective in filling the gaps in between the teeth. Do read this post to know more about the benefits and the results of dental implants. Previous: When To Consult Orthopedic Specialist?